At the recent sucker farmer information meetings that were held around the country in October and November Teagasc representatives focused on the area of calving down heifers at 24 months. Why should farmers consider It? Well Teagasc say there are numerous reasons for calving earlier. Firstly it points out lifetime output of the cow is increased. Secondly it leads to potentially faster genetic progress and thirdly it says the system will mean a lower proportion of non-productive females in the herd. It says that it has already been done successfully on a small number of farms. At the events research done by the Irish Cattle Breeding Federation on heifers calving in 2011 was presented. It showed that there was no major difference in fertility with age of calving. It also showed farmers are using bulls with too high calving difficulty on heifers and that all heifers require a high level of supervision and assistance at calving regardless of age at calving. 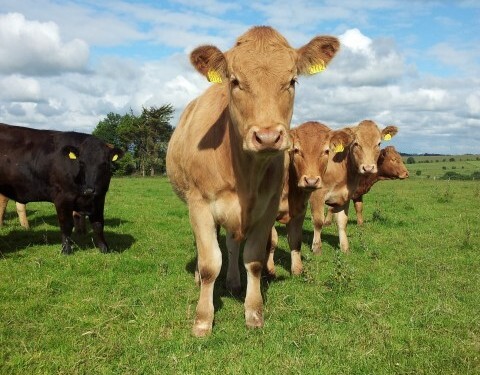 Teagasc also outlined the findings of research carried out in the US, which showed that 10 per cent extra calves were produced from two-year-old calvers when compared to three year olds over the course of 12 years. Furthermore it said in the UK research also found that 93 per cent of two-year-old heifers calved again as a three year old. Teagasc farmer resistance to the system is mainly down to perceived downsides such as, it stunts the growth of the heifer, calving difficulty, heifers won’t go back in calve as second calvers, they won’t be big enough at 15 months to bull and they have smaller calves at weaning, the meetings heard. At the information nights, Teagasc stressed that now is the time to select potential replacements. It noted that this is the time when regular weighing comes into its own. It says farmers should target heifers of good cows that have achieved 1.1kg/day or better since birth and also heifers sired by bulls with strong maternal traits. In addition Teagasc also says that heifers born early in the calving season should be targeted as it allows them to be heavier at bulling. At six and seven months Teagasc advises that the heifers should be a minimum of 260kg and at housing in mid-November 300-320kg for this system. A critical part of this system is the management of the heifer over the first winter. It says farmers need targeted performance of 0.6-0.7kg/day. Farmers must know the quality of their silage. Teagasc said even after a good year some silages are coming back in the low 60’s for DMD. Heifers must be clean of parasites going into the winter. Housing conditions are also important with stocking density, ventilation, feed space are all critical. Teagasc also advises that farmers should not over rely on compensatory growth in this system and early turnout is essential to achieving the right weight at bulling. According to them heifers need to reach 60 per cent of their mature weight by bulling typical turnout weights should be 380-400kg for continental type heifers. It advises farmers to give booster or vaccinate heifers (BVD & Lepto) two months out from breeding. With four and six weeks at grass pre-mating should mean heifers are comfortably 420-440kg at bulling. Farmers must observe heifer’s pre bulling to see if they are ‘on heat’. Heifers not observed should be checked out. Teagasc stresses that farmers select AI sires or stockbull with low calving difficulty < 4.5% (Dairy <2 per cent) and the breeding season should last no longer than 10 weeks. Moving into their second winter heifers that are scanned in calf should be weighing around 530-560kg. Teagasc says heifers should typically gain 0.4kg/day over the second winter. It says heifers should be fit not fat and 65 per cent or higher DMD Silage given ad lib should suffice. A recommend weight 80 per cent of their mature weight by time heifers calve down is noted by Teagasc. Minerals should be introduced six and eight weeks pre-calving. It stressed to farmers not to starve heifers pre-calving as it will not knock on effect on rebreeding. According to Teagasc, heifers will need supervision and assistance at calving irrespective of age. Teagasc say management at calving will vary depending on how close to turnout they calve. They recommend that heifers should ideally be penned separately from older cows. If housed for more than 2 weeks after calving good quality silage and 2kg of meal should be given. They stress Farmers cannot afford to allow heifers to go back in condition after calving. 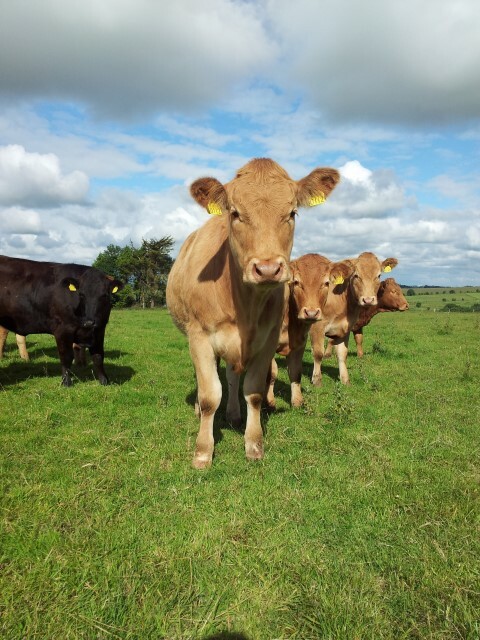 Teagasc also says you can expect heifer’s calves to be 20-30kg lighter at weaning than those of mature cows.